Until about 20 years ago, fishermen on Isla Mujeres would lie in wait along the shore each summer night as the enormous turtles emerged from the ocean to lay their eggs. Afterward, the fishermen would swoop in and seize the tired turtles as easy prey. A few years ago, a group of concerned fishermen and private-sector activists began collecting eggs in order to preserve the species. Shortly thereafter, the Mexican Fishing Ministry established the Centro de Investigaciones Pesqueras in order to protect the sea turtles and increase the population. The center, nestled on a small section of land off the west coast of Isla Mujeres, allows visitors to walk through both indoor and outdoor pools to observe young turtles (from newborns up to one year of age). Children from local schools take part each year. 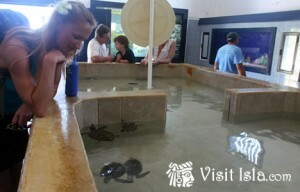 Expert guides educate guests about the turtles’ stages of development and evolution of the species. Since the creation of the center, which is primarily funded by private donations, tens of thousands of sea turtles have been released. There are now six different species of turtles nesting on the island. The most abundant species is the adult green turtle, which is also the largest – it weighs in at a hefty 450 pounds and measures in at up to four feet long. Nestled on the island’s west coast, the center exists both to protect the sea turtles and to educate and entertain visitors. Guests are strongly encouraged to take part in the guided tour, which lasts about an hour. Each year, turtles are released back to nature between May and October, and visitors are welcome to take part in the release “ceremony” – although you should refrain from touching or handling turtles without a guide’s guidance. During the off-season, you may be able to get a personal, guided tour customized just for you. Schedule a few hours at the sanctuary for an experience you won’t soon forget. The shelter is usually open from 9:00 AM until 5:00 PM. A gift shop and concession area are available. 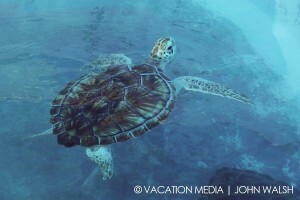 A portion of the very reasonable admission fees (approx 30 pesos) goes to preserving the sea turtle population. 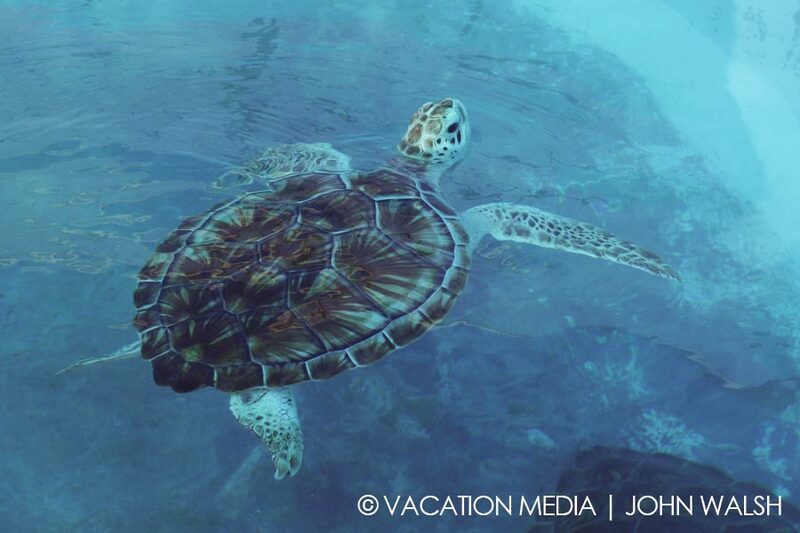 For more information on the Isla Mujeres turtle sanctuary, call 998-877-0595.